Butterfinger Blondies: My New Favorite Sweet-Salty Snack! / Hey, EEP! 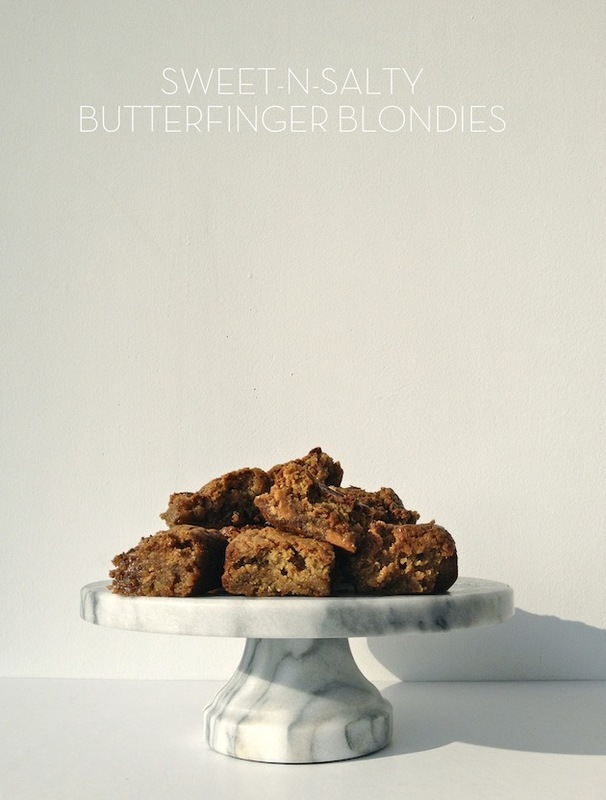 Butterfinger Blondies: My New Favorite Sweet-Salty Snack! 1. Preheat the oven to 350. Line a 9-inch-square baking dish with parchment and spray with cooking spray. Whisk the flour, baking soda and salt in a bowl. 2. Beat the butter and brown sugar in a bowl with a mixer on medium-high until fluffy, about 3 minutes. Add the eggs, one at a time, beating after each addition. Beat in the vanilla. 3. Turn off the mixer. Add the flour mixture and return the mixer to medium speed until just combined. Beat in 11/2 cups chopped Butterfingers. Spread batter into prepared pan (it will be thick) and sprinkle with remaining 1/2 cup chopped Butterfingers. Bake about 30 minutes or until golden and mostly set (it's okay if the centers a little giggly, that will solidify when cool and give the Blondies a super gooey, chewy texture). Cool in the pan on a wire rack. Remove from the pan using the parchment, transfer to a cutting board and cut into squares. Note: I didn't have time but I bet these would be even better drizzled with melted chocolate. 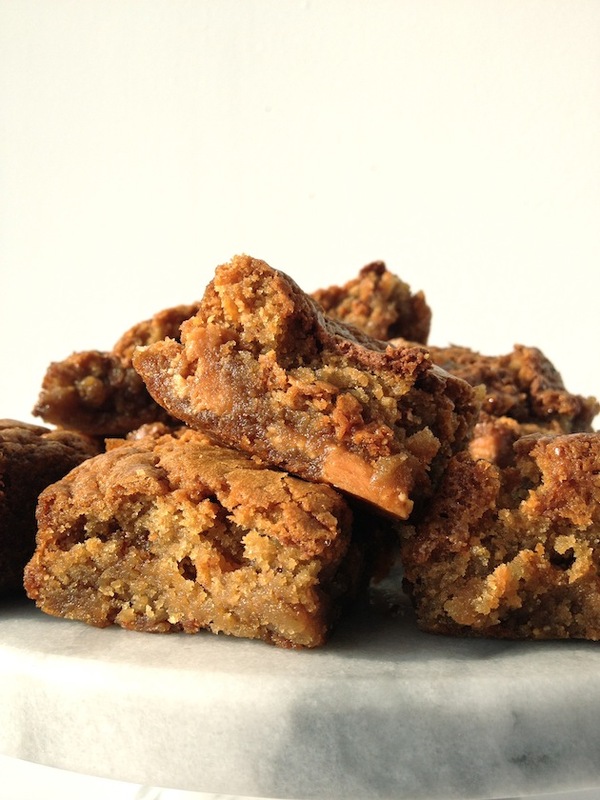 Try adding once blondies have cooled in the pan but before you cut into squares!